An update to application forms would ask users to identify what social networks they use and their "social media identifier" such as a username. However, revealing this information would be "optional". The changes would affect Esta and Form I-94W applications. 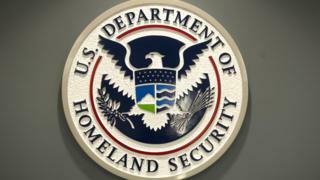 The proposal was added to the Federal Register by Customs and Border Protection (CBP), part of the DHS, last Thursday. Any data travellers choose to share will be used "for vetting purposes, as well as applicant contact information", the proposal states. Public comment - which must be submitted by post - will be sought for 60 days before the CBP considers it further. "It's very hard to see travellers not filling out this item - even though it's optional - as they may fear not getting entry into the country," commented Joseph Lorenzo Hall, chief technologist at the Centre for Democracy and Technology. Mr Hall, who spotted the notice last week, added that he feels the measure could make it harder for people to enter the US. "Democracy in general requires having spaces free from government scrutiny and increasingly social life happens online," he told the BBC. "We would have a poor society if people were chilled from participating in social activity online so I really hope they rethink this." A spokesman for the Association of British Travel Agents pointed out that the proposal was not guaranteed to go ahead. "Just as with any change in entry requirements, the DHS will need to balance security issues against the need to encourage people to visit their country," he added. Last year, MSNBC published a memo in which it appeared that officials dropped a plan to vet visa - not visa waiver - applicants' social media activity. Recently, the United States updated its policy on visa waiver programs regarding visitors who had a second citizenship in Iran, Iraq, Syria and Sudan - or who had visited those countries within the last five years. Such individuals must now apply for a visa instead.